The following is fr om the correspondence archives of the United Lodge of Theosophists in London, England. 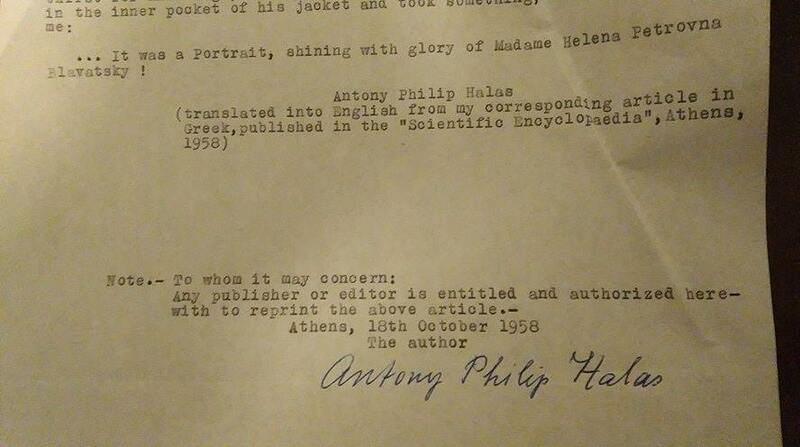 Antony Philip Halas, who lived in Athens, Greece, was for some years in written communication with the London ULT, having become a ULT associate in 1954. This particular letter of his was undated but was affixed to other letters dating from 1965-1966. We make no interpretation or explanation of Mr Halas’ account but leave that entirely to the reader. 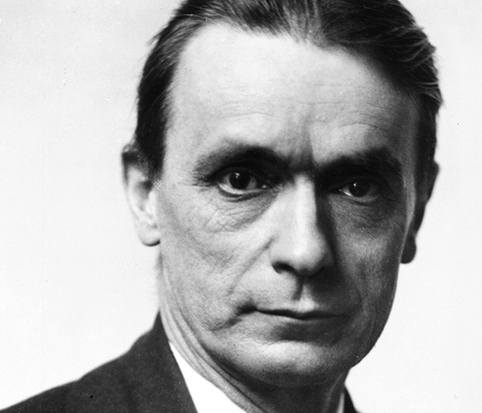 Rudolf Steiner’s Lies about H.P. 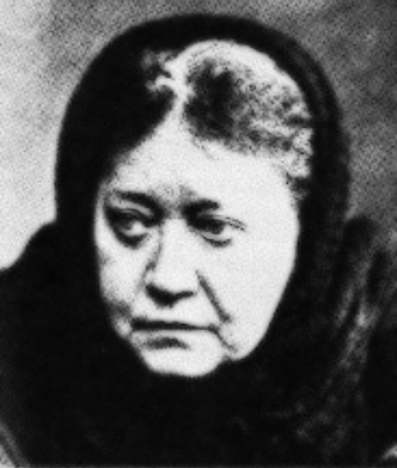 Blavatsky and The Mahatmas. Bewildered by the strange facts and astounding rumours concerning the work and achievements of that extraordinary man and prolific writer Mr. Rudolf Steiner (the famous founder of the University of Occultism “Goetheanum” at Dornach, Basel, Switzerland, and of the epoch-making School of “Anthroposophy”); and being since my earliest youth devoted to the pursuit of Knowledge and Truth concealed both in the Universe or Macrocosm and in Man or Microcosm – I thought it advisable to obtain all his existing works in German, as a matter of fact the original writings are preferable to their translations. As soon as I obtained possession of the book in question, I began studying it with the enthusiasm and transport of a neophyte, carried away by the mastery of the great writer, the originality of its contents and the acuteness and convincing of its argumentation. When I came to that portion of the book, where the author gives with painstaking examples and facts all desirable details for those who wish to become clairvoyant, – I blessed my good luck and stars for coming across such an unexpected treasure, the more so as I was athirst to be once for all deprived of my spiritual blindness and obtain at last the intensely longed for Internal Sight and regain the function of my Third Eye, atrophied and lost since the Fall: I was engrossed in the hope of reaching soon the Paradise Lost and of becoming the citizen of the Promised Land! Alas! How far away I still was from that “consummation, devoutly to be wished”! How little I suspected what was ahead of me! How uninformed and unaware was I of the horrible dangers that were lurking around me, more repugnant and venomous than sharks, vipers or vampires! With avidity and eagerness I devoured every page, fervently perusing every detail, ready to fulfill every instruction and commandment, as was in ancient times the case with divine decrees or oracles! As I was told in that book that I ought to buy a multifaced crystal, I immediately did so; and though more than thirty years have elapsed since that time, my life was full of startling events and adventures and in the meantime I left Constantinople, where the story which is here described took place, and came and established myself in Athens, – I still have in my possession this precious relic, which I preserve as a sacred memorial and a token of gratitude towards my greatest Benefactor, who, as I will narrate soon, intervened miraculously at the right moment and checked me in time from continuing to put in practice to their full extent the most dangerous methods and weapons a man may ever have to deal with. Strictly and faithfully following Rudolf Steiner’s instructions, I used to get up early in the morning, an hour before the rising of the Sun and for more than a fortnight I was deeply and earnestly meditating on the seed’s evolution and development, i.e. on its germination, on its embryo, integuments and endosperm, on its growth, which gives rise to the stem of the plant. To cut it short, having before me the seed, and carefully complying myself with Rudolf Steiner’s instructions, I mentally followed the whole evolution of plant life: birth or germination, growth, blooming, flowering, marriage, impregnation or perpetuation of kind, fruit bearing or seed bearing, waning, withering or decline, old age, death. A similar exercise consisted in meditating on the sperm of an animal and man: namely, on the whole evolution of animal life from birth to death. Needless to say that I did not miss be it one single exercise of those promising to endow me with the Second Sight, Clairvoyance, Clairaudience or Spiritual Sight and Hearing. Also Hermes’ or Mercury’s Caduceus symbolized the same telestic or perfecting potentialities, as it represents Pingala, Ida and Sushumna, the Serpentine Power or Kundalini (the “speirema” or Serpent Coil of the Gnosis) or the Holy Ghost. Side by side with the above mentioned exercises, always in strict accordance with Rudolf Steiner’s instructions, I was earnestly engaged in crystal gazing. Since my boyhood was this practice unconsciously known to me, when, at the age of five, I was fascinated and attracted by the strange visions which I happened occasionally to observe, when gazing in a crystal stopper of a bottle. It was far from me at that time to guess that I was endowed with clairvoyant powers or latent seership and very little was I aware of my being apt to get into serious trouble if not properly guided in the treacherous labyrinth of astral visions, lavishly offered by crystal gazing at that early and tender stage of my life. Under such circumstances, predispositions and tendencies or “gifts” was I devoutly engaged in the dangerous practices, so light-heartedly and copiously lavished and described with every possible detail and without any precaution or restraint in that treacherous and misguiding book. The catastrophe was imminent. I was doomed to unrepairable wreckage, to which I was approaching at full speed and as sure as two and two are four. Fortunately some one was watching over me! Many a time before and afterwards have I been conscious of being overshadowed by an Invisible Protector and Benefactor. This of course is not a privilege bestowed by Divine Providence but to me, as if I were an exceptional human being. I am far from being an exception in the wide wide world: I am a common mortal. All human beings, without any exception, have their Guardian Angel, but most of us do not believe in Invisible Things and Beings or do not pay due attention each time our Invisible Benefactor lavishes on us his services and protection. A fortnight or so since I had started the above mentioned exercises one unforgettable night (thirty years ago or more) I was visited, when in Spirit, by a dark haired and bearded Man, in the full of his manhood, whose blooming health and exuberant vitality brought in my memory the Count of Saint Germain and the Elixir of Life.
. . . It was a Portrait, shining with glory, of Madame Helena Petrovna Blavatsky! You can find the complete listing of over 200 articles relating to all aspects of Theosophy and the Theosophical Movement on the ARTICLES page.